A rich source of Vit A,B,B2,C,CALICIUM,CHROMIUM,COPPER,IRON,MAGNESIUM,MANGANESE,PHOSPHEROUS,POTTASIUM,PROTEIN AND ZINC. The leaves can be dried or partally dried (not under sun directly)under ceiling fan ,make powder and store it.A very useful herb used to clear eye sight etc.The powder can be used indaals made by leafy vegetables ,add lastly before switching off the stove.This herb can be used as a powder or preparing chutneys with leaves.This herb can be eaten all the 365 days. 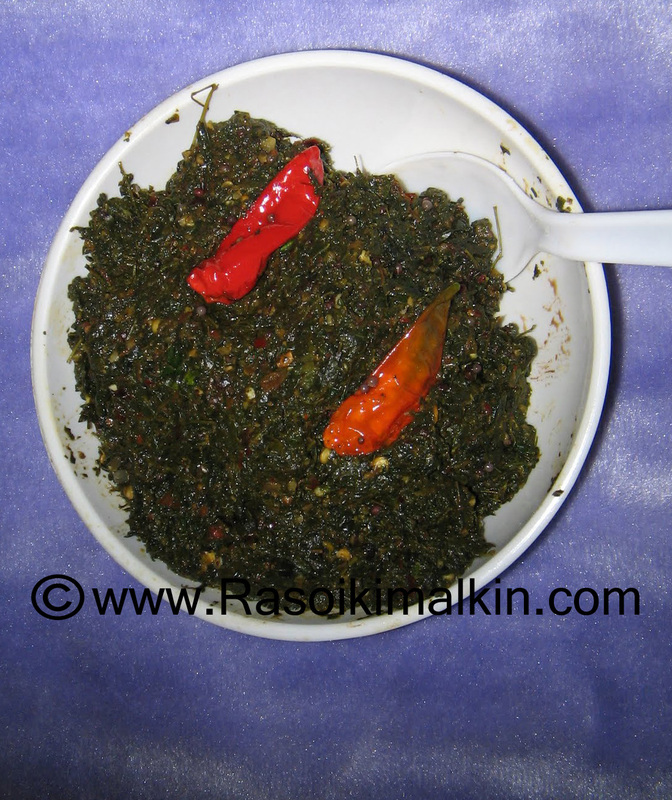 Here is one recipe of chutney made by these leaves. The leaves of this herb should be washed atleast 4 to 5 times in more water.Strain the leaves.Dry them on a cloth,under a fan.In 3 to 4 hrs they will dry and ready for preparing chutney. Firstly place Kadai on a stove,add half spoon of oil and lightly fry the drumstick leaves for 5 minutes on a low flame,by stirring it quite often.Keep it aside. If kept in Refrigerator it remains upto 10 days,in Indian atmosphere.We should consume it exceptionally for the medical values rather than the taste. But the taste is equally good with rice and chhappathis. If enquired this stuff can be supplied by the shops where they sell the leafyvegetables ,in advance. Guaranteed results will be available for those who consume this quite often.